Having attended the recent Paul Walker Memorial cruise which started in Antrim I found myself questioning something I’ve loved for the best part of fifteen years as a petrolhead, is the car cruise part of our scene as dead as one of our favourite movie franchise stars? Case in point: The Paul Walker Memorial Cruise. It was started two years ago after the passing of arguably one of the biggest on and off screen petrolhead who is known the world over. 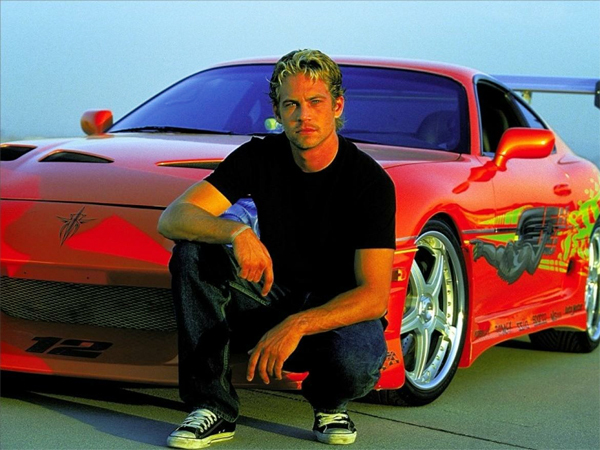 For those unlikely few who know nothing about him, he was the actor who played one of the lead rolls in six out of the seven Fast & Furious movies and who instantly struck a chord with many car enthusiasts the world over. We could all relate to the on screen character in some way or another but it seems that he was as much of a petrolhead off screen as well. 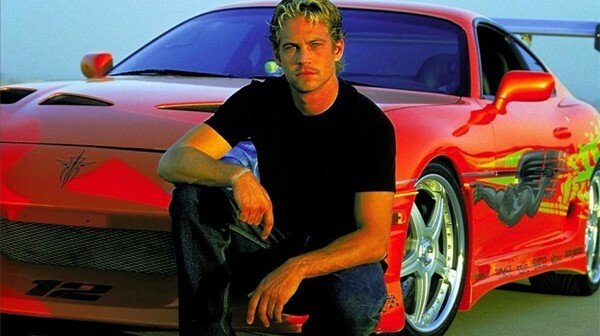 There have been many YouTube videos, interviews and stories which all involved Paul being around cars, talking about them and the huge car scene that many of us are involved in. He always spoke passionately about cars, about modifying them and driving them to their limits. It was a huge blow to many of us to learn of his tragic death with little comfort coming from one of his famous quotes “If one day speed kills me, don’t cry because I was smiling”, which spawned many stickers fitted to a lot of cars. He is one of few actors who have managed to transcend from the silver screen to our hearts. He was much more than a car nut though, having started his own charity, Reach Out Worldwide who’s work is involved in many things from the 2010 earthquake in Chile to the tornado’s in The Philippines. Many of us braved the poor weather on a Sunday evening to show our respects to this ‘hero’ in a way that we all felt he would approve of or enjoy and made the journey to Antrim, handy for me as I live there. There were many who had obviously traveled from all over Ireland as I noticed many Southern Ireland registered cars in attendance. 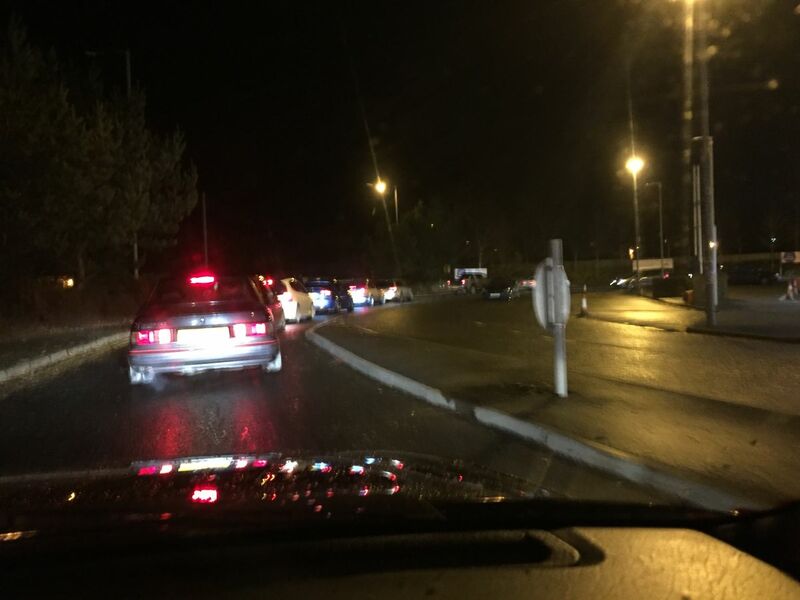 However arrival at the venue of Junction One car park was a non-starter with makeshift barriers and security preventing access, along with a strong contingent of police in both marked and un-marked cars in the various car-parks throughout the town. I am by no means questioning the actions of the authorities, however it’s this surround and suppress approach to a gathering of motoring enthusiasts that I think will eventually snuff out the cruise scene completely in Northern Ireland. Cruise stigma aside, this means less petrolheads meeting other like minded petrolheads. And I think that’s a sad state of affairs. It seems Antrim did well to last this long Blackie, Bangor died 6 years+ ago. Fuel costs, antisocial behaviour clampdowns (police misunderstanding what cruising actually was) and newer cars becoming virtually unmoddable all played their parts in killing it. As for Paul Walker being a hero? he was a car nut yes but no hero, he was an actor the same as any other. If JayKay died tomorrow I doubt anyone would bat an eyelid so I dont get this faux sympathy. Car cruising has died as a result of the majority of folk now going HP/lease deals hence not modifiying their cars, I belive. | It seems Antrim did well to last this long Blackie, Bangor died 6 years+ ago. Fuel costs, antisocial behaviour clampdowns (police misunderstanding what cruising actually was) and newer cars becoming virtually unmoddable all played their parts in killing it. As for Paul Walker being a hero? he was a car nut yes but no hero, he was an actor the same as any other. If JayKay died tomorrow I doubt anyone would bat an eyelid so I dont get this faux sympathy. People getting older and simply moving on is another part., although all the assholes diffing, skidding about on trays, pouring oil down etc and in public car parks when the public were still around all helped killed off Bangor as they brought on the police intervention. And what the obsession ( false or otherwise ) with Paul Walker is...is almost as baffling as the obsession some have with twin cams ! Anytime I see pics of a cruise it looks like the agri yobs who I have no desire to hang out with Edit* bit aggressive with the enter button! I was slated on here for not knowing who he was. After reading about him I'm glad I did, not the sort of person I would want to know. As for cruising it all went t1ts up early 2000s. Late 80s to late 90s was epic simply because the ruc had more important things to do. | People getting older and simply moving on is another part. And what the obsession ( false or otherwise ) with Paul Walker is...is almost as baffling as the obsession some have with twin cams ! Back in the day, we went without alcohol and other things to have money for our cars, these days the metrosexuals are too busy buying ill fitting trousers, tweezing their eyebrows, stupid haircuts and other material goods so have no interest in cars. | Car cruising has died as a result of the majority of folk now going HP/lease deals hence not modifiying their cars, I belive. It died long before HP was rife. And even then, back in the late 90's, there was plenty of new stuff floating about courtesy of finance deals, student loans or the 'bank of mum & dad'. Remember the free insurance/finance deals on the first time motors? The place was filled with new Clio's, 106's, Corsa's and Saxo's with the mods all added. I'm sure more than half my mates availed of those deals. Leases are nothing at all to do with it. Bangor was being shut down 10+ years ago and its not hard to see why. It turned into a wrecking session. Ballyclare, Antrim town and Lisburn were another number of spots that were nuts. Some of the stuff that went on was crazy but it was mostly away from the car parks and out on the back roads.